Donate a book. Rewrite a kid's story. When you donate a new or gently used children’s book during our Half Pint Library Book Drive from April 1-30, we’ll match your donation. 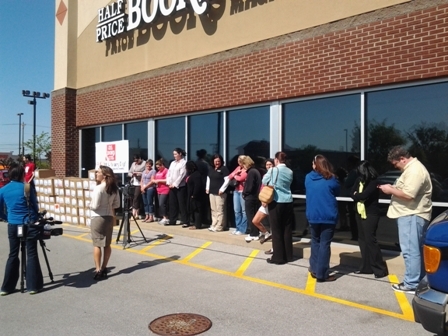 The books will help build libraries in schools, afterschool programs and other nonprofits. Together, we can make a positive impact on the life stories of local kids. 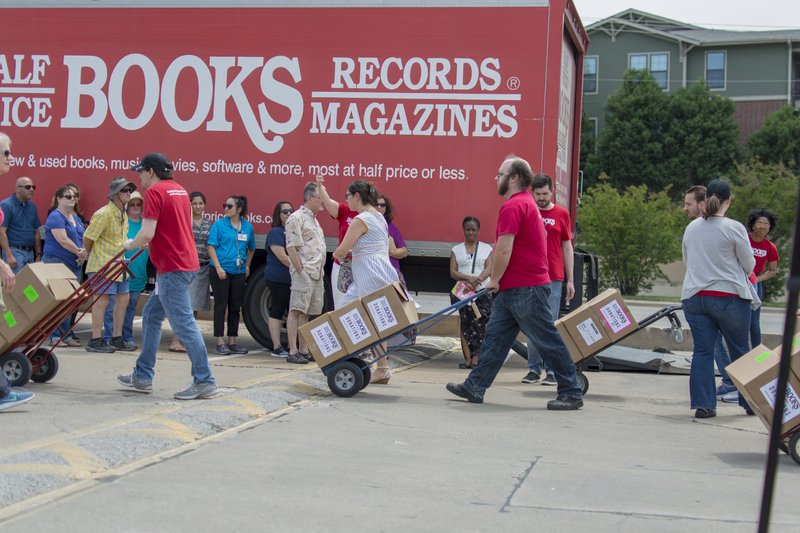 Thanks to the generous support of our customers and employees, we were able to donate more than 333,885 of new and gently used children's books to area kids for the 2018 Half Pint Library Book Drive & Giveaway Events. 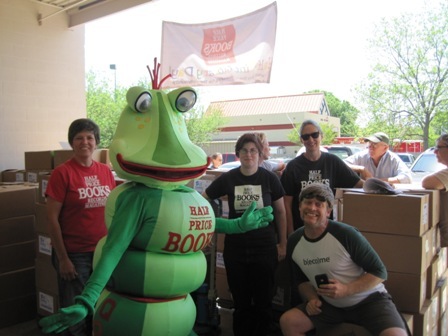 Check out our photo gallery to see just how much fun we had giving away books! 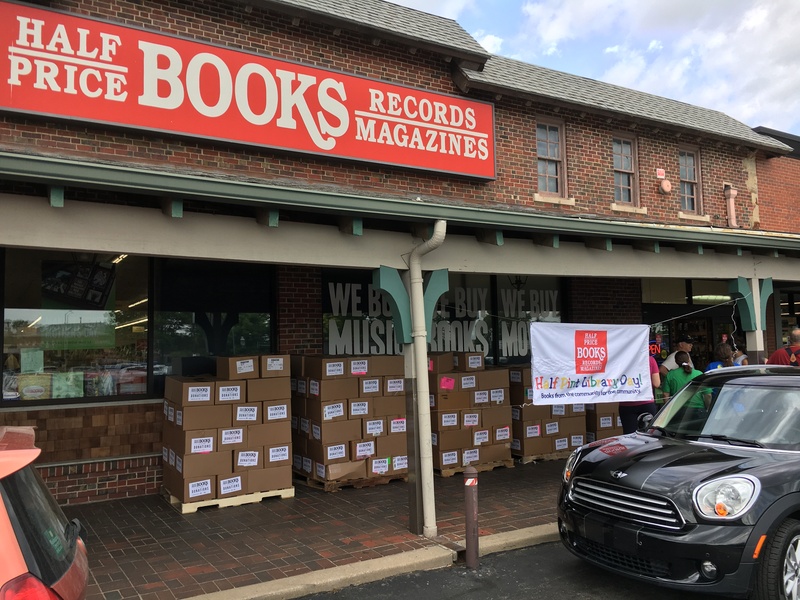 The Half Pint Library book drive is hosted each year by Half Price Books to collect and distribute children’s books to those in need. 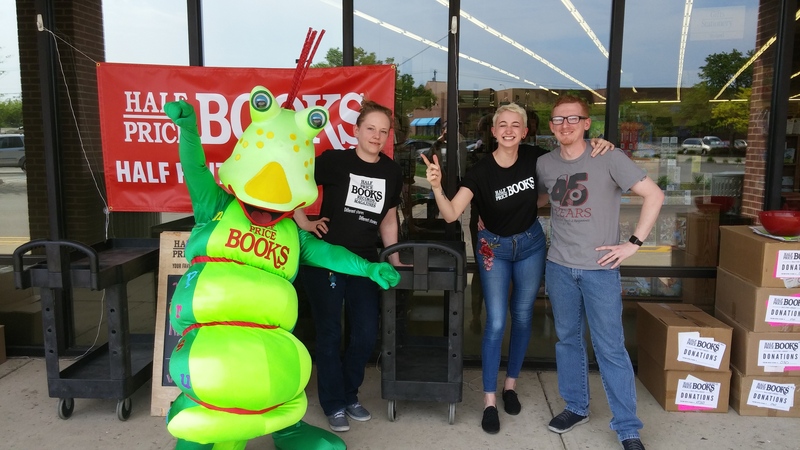 From April 1–30, stop by any of our locations to donate new and gently used children’s books, and Half Price Books will match each book donated! The books will be distributed to non-profit organizations and schools at giveaway events in May. 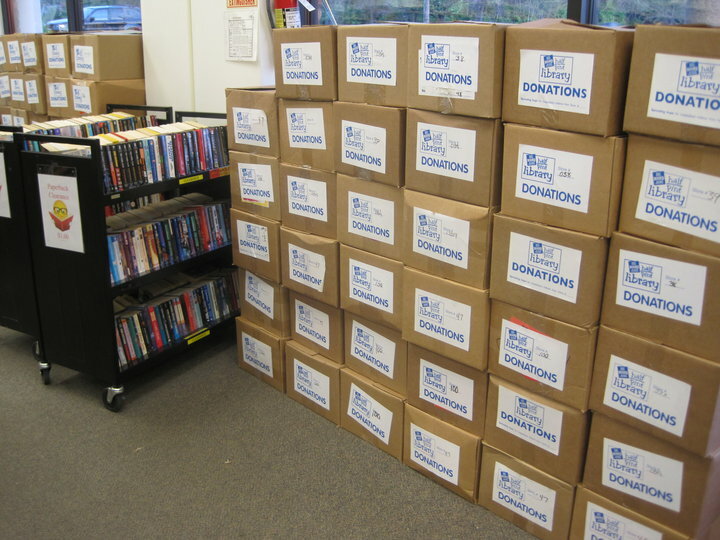 Need books for your classroom or cause? 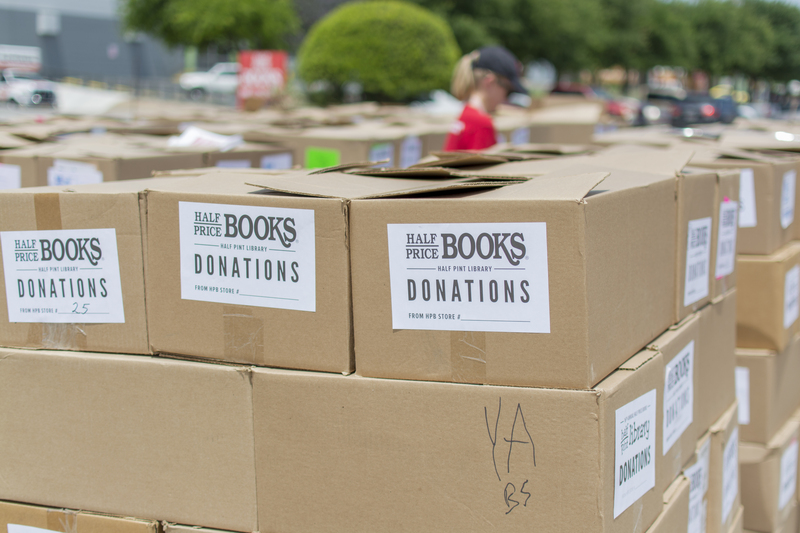 It is our goal to distribute books to as many different nonprofit community organizations as possible and to be safe and fair at all times. 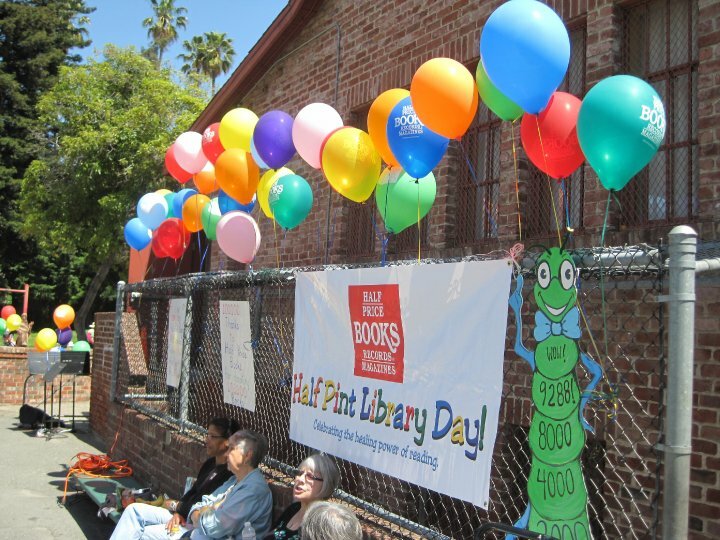 501(c)(3) nonprofits and schools are invited to attend any Half Pint Library book giveaway event. The following events are organized in alphabetical order by state/city. 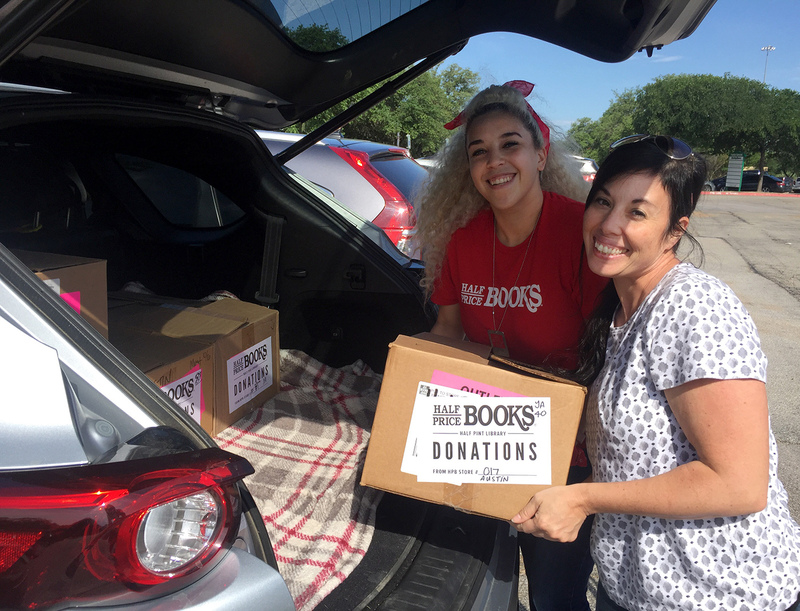 If you missed the giveaway event in your area, but would like to request books for your classroom or cause, please fill out a Donations Request Form. Plus, you can join our email list to receive a reminder about these giveaway events in the future. Supplies may be limited. Events are first-come, first-served. Get there early, the books are going fast! 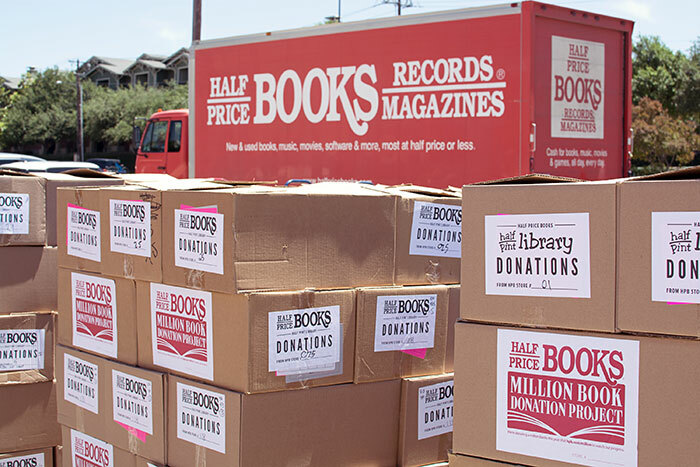 Half Price Books donated 1,011,187 books in 2018. Check back soon for the giveaway date in your area! 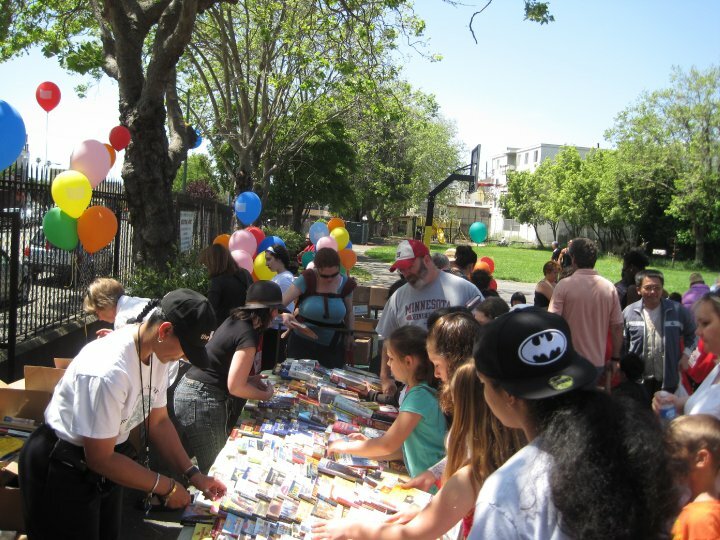 Can't make it to one of our Half Pint Library Giveaway Events? 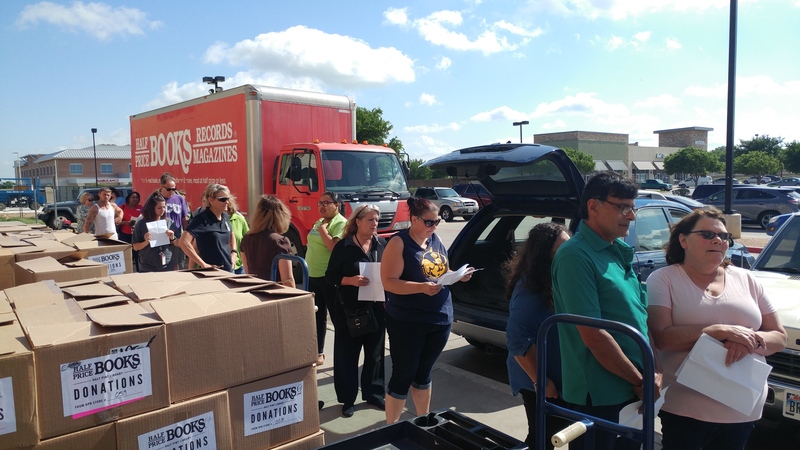 Request a donation for your organization. What is a Half Pint Library? 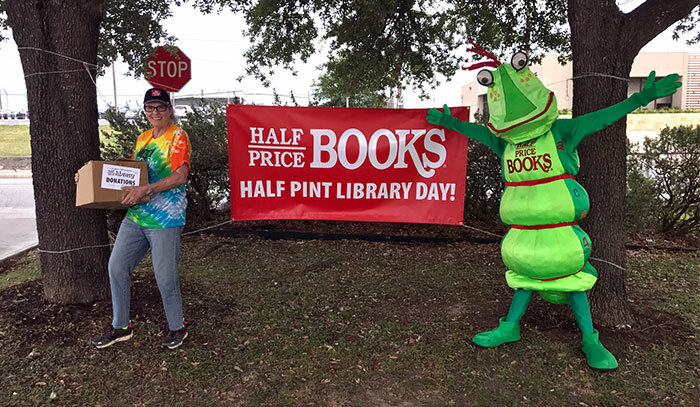 The Half Pint Library program is a book drive hosted each year by Half Price Books to collect and distribute children’s books to those in need. 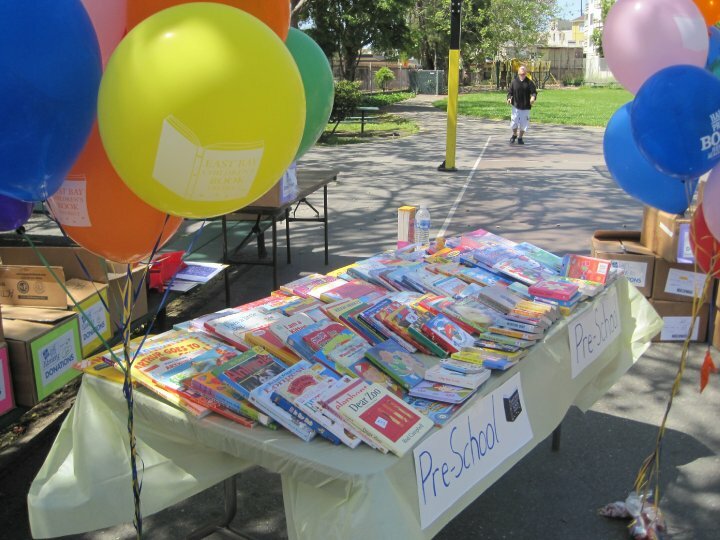 Books donated through the Half Pint Library program provide an escape from the challenges faced by children, while helping to boost literacy skills outside of school. 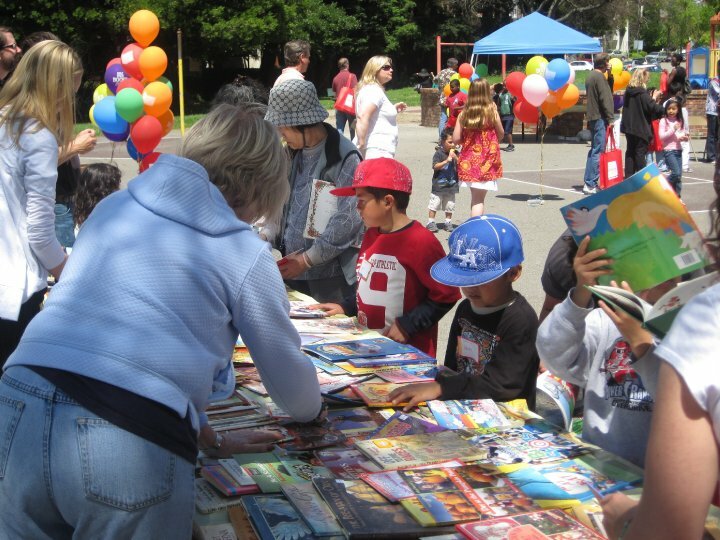 In many cases, children are getting their first book through the Half Pint Library program. 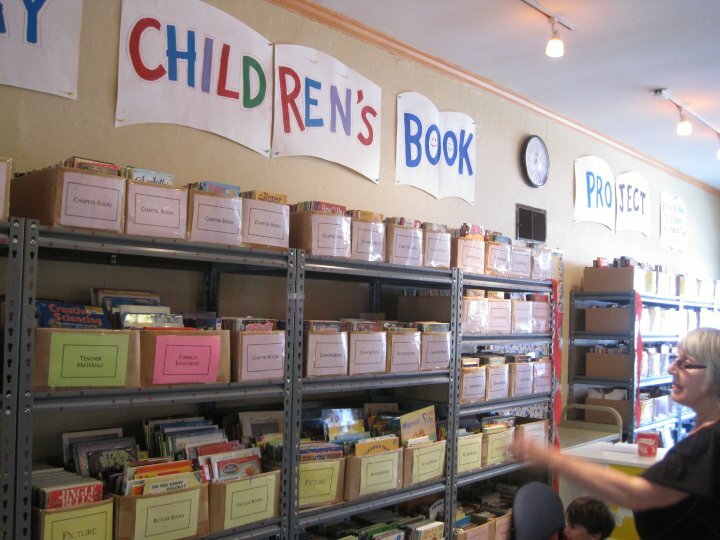 The drive accepts any type of children’s book, including Spanish language books, as long as they are in good condition. 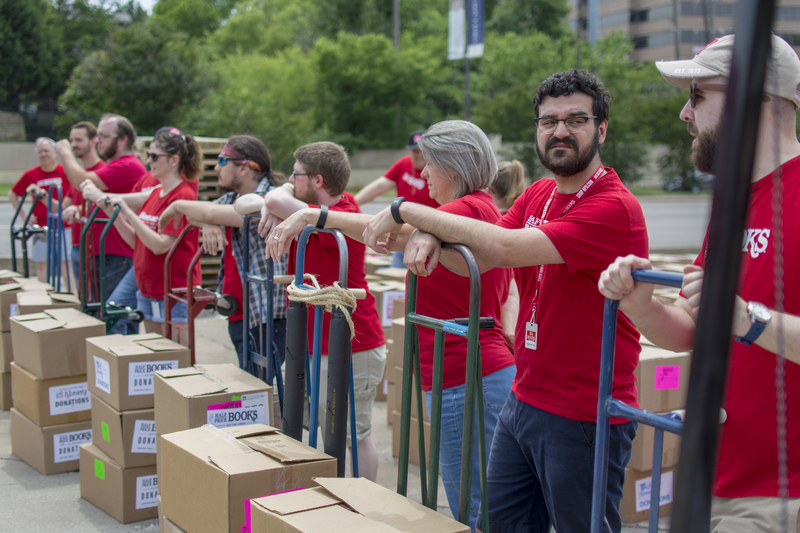 The program is celebrating its 21st year in 2019 and has collected more than 2 million books for pediatric patients, community centers, special schools and many more children in need. Studies by the Institute of Education Sciences and related research show significant correlations between children’s access to printed materials in the home and literacy, as well as performance in school. Unfortunately, when money is tight, buying books can’t always be a priority for families struggling to make ends meet. 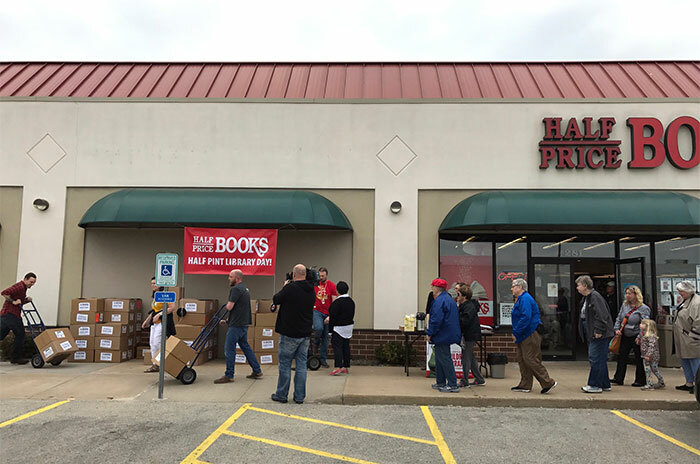 Half Price Books feels that every child deserves a book of their own and is hosting the book drive to benefit local children who may otherwise not have access to books. 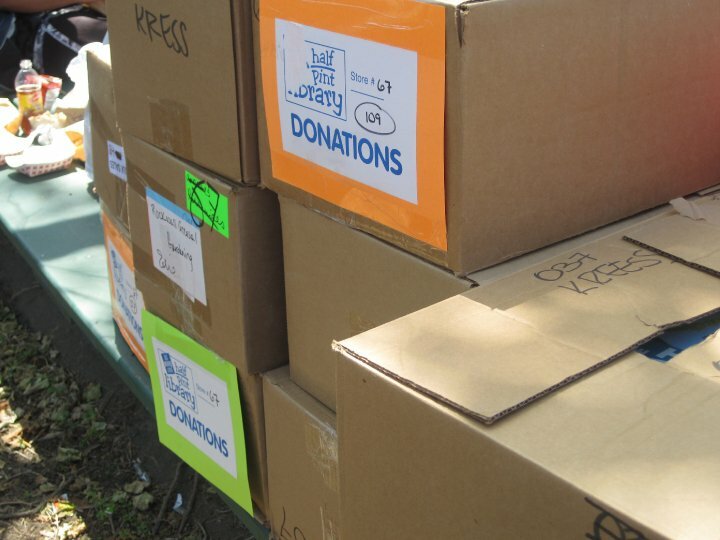 Simply donating books that a child has outgrown provides the tools to create the leaders of tomorrow. 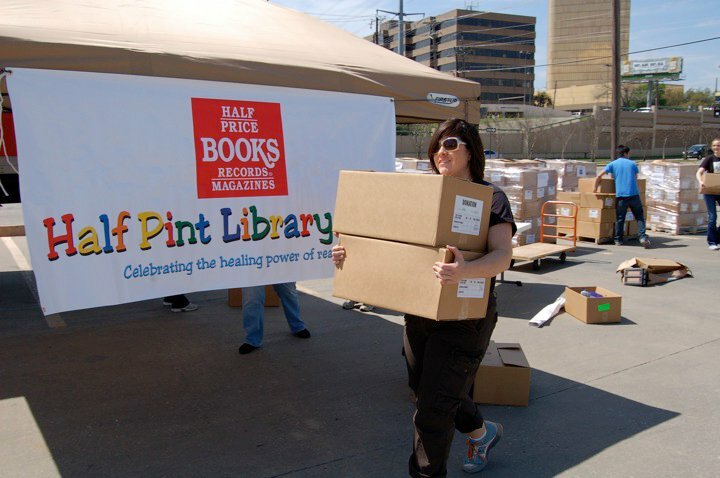 How does the annual Half Pint Library Book Drive work? 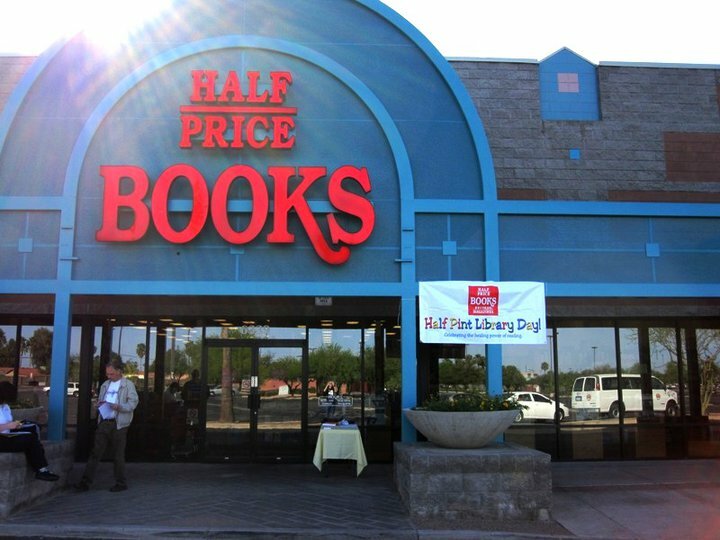 From April 1 – 30, all Half Price Books locations serve as “drop off” sites to collect new and used young children’s books. 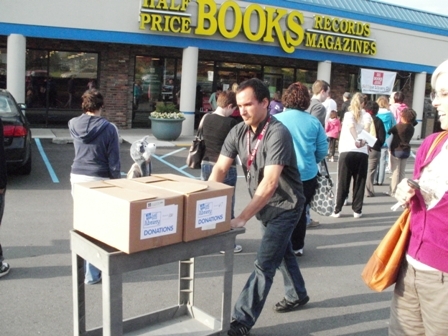 Half Price Books employees then sort through the books to make sure that children will receive only quality new and gently-used books, and will match each book donated. 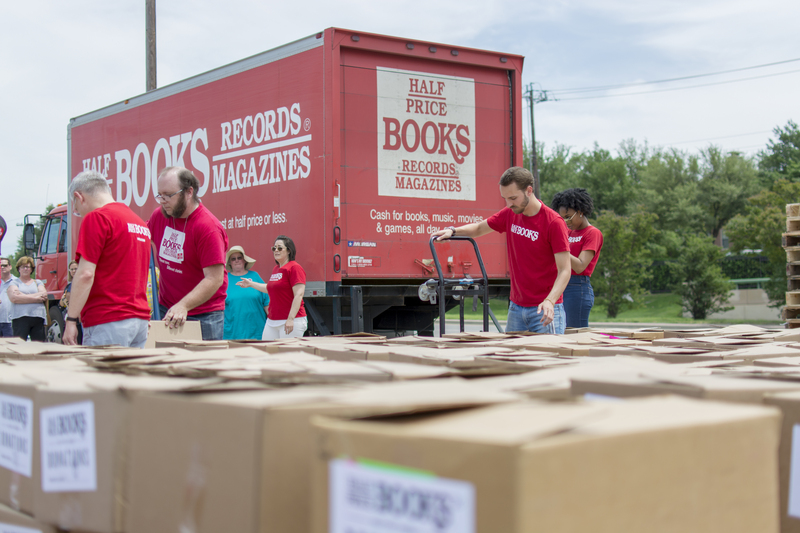 The “giveaway” events will be scheduled shortly after the conclusion of the drive, and Half Price Books will invite local nonprofit groups to come pick up the books. How will the “Giveaway” event work?